After Hurricane Ike hit our coast, and after her husband left her, she was distraught and walking in her neighborhood. She told us a woman (who she'd never seen before) walked up to comfort her. Upon hearing her troubles, this kind-hearted stranger handed her a flyer on CCSC's newly-opened food pantry which she just happened to have in her hand. 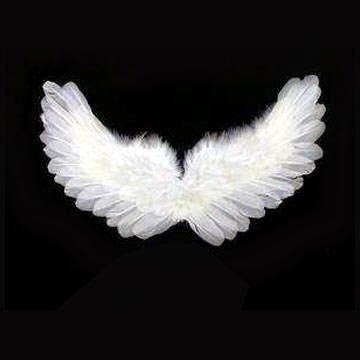 Our client refers to this person as "her angel" because she seemingly appeared out of nowhere with exactly what was needed... and then disappeared, never to be seen again. This family needs our pantry. They have stabilized since the shock of being abandoned, but still need occasional help. So they come to us about six times/year, and we make sure they don't go hungry. Hearing this story today affirmed something I believe: God touches us through other people.